"If 2017 is considered the first year of the NB-IoT era, and 2018 is the first year of its commercialisation, then 2019 will be the first year in history to fuel the development of NB-IoT," said Feng Dapeng, director and assistant general manager of the Huizhong Instrumentation. NB-IoT stands for Narrowband Internet of Things and is one of the two licensed Low Power Wide Area (LPWA) technologies that have already begun to usher in a new era of mobile communications. The impact of the anticipated benefits of digitisation in all industries is huge in this area. The technology is unobtrusively working to advance the less glaring, yet vital, capabilities that make our cities smarter, connect our supply chains, and digitise our factories. Of any new technology in mobile communications, we expect nothing more than a significant increase in their data rates compared to their predecessors. But like LTE-M , the other licensed LPWA technology, NB-IoT is tailored to the needs of applications at the other end of the spectrum: applications that operate with a tight energy budget and only send small amounts of data in sporadic transmissions, as well as in water metres. Huizhong Instrumentation, Huizhong for short, is headquartered in China and is one of the world's leading manufacturers of water metres. Since its inception, this company has been involved in the digital revolution. Meanwhile, the company confidently places its money on NB-IoT. And she is by no means alone in the further corridor. The Chinese government has unreservedly accepted NB-IoT , and the country's major telecommunications providers have catapulted China into the position of a global leader. More and more technology giants and industry leaders are entering the market each month with NB IoT products and services, further fuelling growth. Huizhong's product portfolio ranges from heat, water and flow metres based on ultrasonic sensors. Your NB IoT ultrasonic water metre incorporates technology for extremely low power consumption. Thus, a single battery is enough for operation in a complete decade, with data stored every 30 minutes and wireless data once a day. While expectations are not particularly high due to the cliché ‘Made in China,’ it must be kept in mind that Huizhong has made significant investments in innovation, focusing on customer orientation. In addition, the company has a strong focus on excellence in research and development, bringing the new slogan ‘Created in China’ to the world. 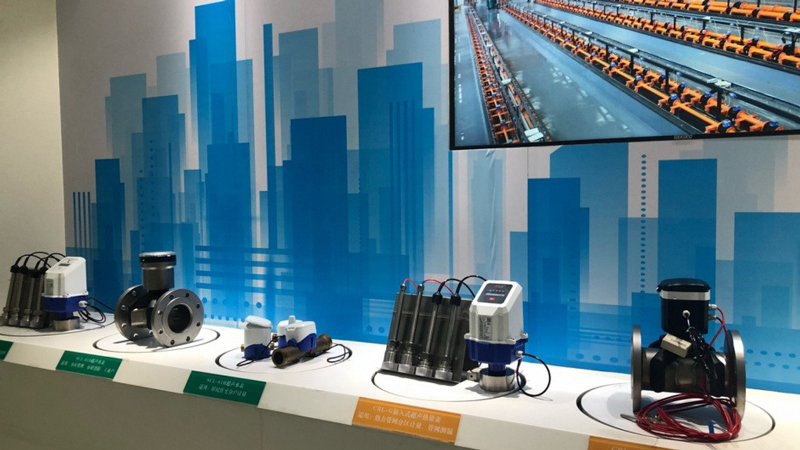 Huizhong is one of u-blox’s main customers in the APAC region, and it has contributed to the development of their NB IoT water metre and paved the way for deep collaboration between the two companies. The shared conviction of the important role that NB-IoT will play in the smart sensor industry further fuels this development. And the partnership was and is beneficial for both sides. It is said that the tango always includes two. In working with Huizhong, u-blox has seen the benefits of a twosome bringing new technologies into a well-established industry. 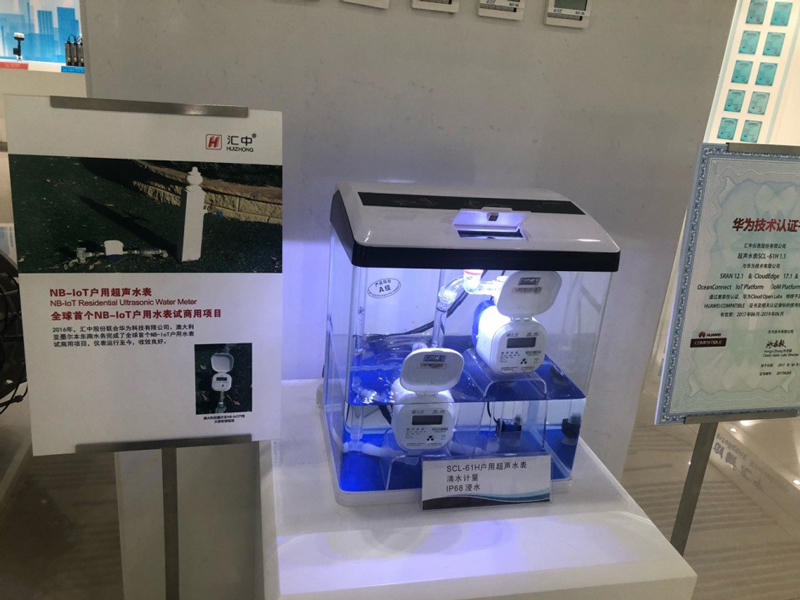 According to Feng Dapeng, Huizhong's strategy has been to gain a competitive edge over market demand and speculate as to which features should be integrated into their sensors' NB-IoT modules. By helping u-blox engineers design and develop NB-IoT products that better meet customer and market needs, Huizhong accelerated its pace of innovation and product design, development, and marketing shorten. This approach has helped the company maintain its leading position in the industry. And it is obvious that these insights are extremely valuable to u-blox. While Huizhong has been well-positioned to move into the regulatory environment in China, the company has faced unprecedented challenges overseas, especially in Australia. In these cases, u-blox have been able to assist Chinese partners and offer comprehensive consulting services in addition to products and solutions. "Although the Australian government's certification system is extremely complex and rigorous, u-blox has enabled us to engage with the local marketplace and more easily meet government certification requirements. We are deeply impressed by the sincerity of the company, "said Dapeng. By next year, China Mobile, China Telecom and China Unicom's NB-IoT networks, which have recently been commercialised, will be well established, offering virtually nationwide NB IoT coverage. The booming Chinese NB IoT market will generate considerable demand and be an effective test of the rapidly maturing technology. And by fostering close collaboration between a provider of technology and services and companies like Huizhong, who know all about the industries they serve, it will continue to be in the front row in the ongoing digital revolution. Guest blog written by Kevin Hu, Business Development Manager, u-blox Beijing.